Tallinn Music Week, the most curious city festival moves outdoors to greet the arrival of spring. 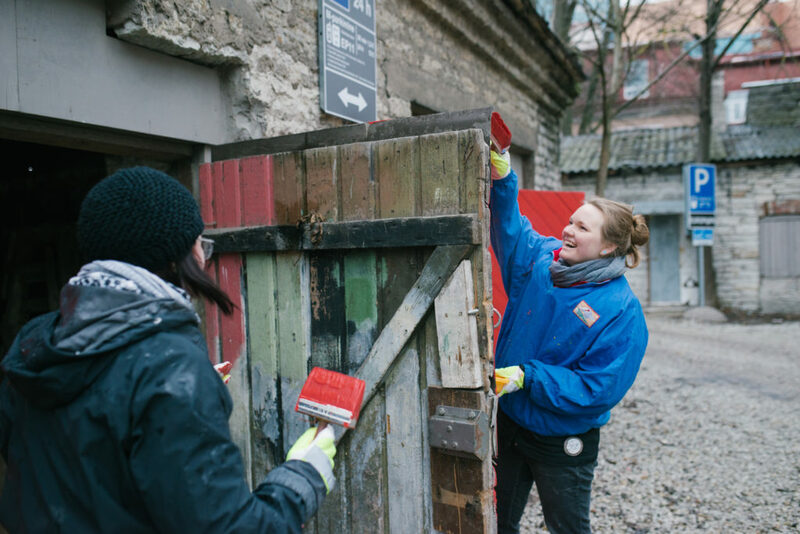 In cooperation with students of the Interior Architecture Department of the Estonian Academy of Arts, the walk from Old Town to Telliskivi will be illuminated and some ancient Soviet era garages will get a new lease of life. The urban space projects kick off on Wednesday and the public spaces in the city will be filled with music, food and arts until Saturday night. Starting on Thursday the pedestrian path from the railway station to Telliskivi will be transformed into a bustling festival space with light installations, music and street food. Sculptor Elo Liiv has coached students of the Academy of Arts to build light and sound installations that create the entry to imaginary spaces. The historical Telliskivi water tower will get an innovative internal lighting. The brick wall along the path will be turned into a 12-meter painting of light and many more attractions of light will meet the festivalgoers. Artist Emer Värk is creating installations for the train station tunnel to guide visitors to the biggest dance marathon of the weekend Balti Jaama Tunnel. The post-industrial Depoo food street will breath in the rhythm of TMW from the vintage train coach restaurant Peatus to the gourmet Renard Coffee Shop. Konteiner Bar will host a DJ night of World Clinic record shop owner Aivar Meos on 29th March. Both Friday and Saturday will bring more music to Konteiner and Peatus with house DJ Dave Storm, Estonian Funk Embassy and Polish duo Coals. As part of TMW city space initiative the Soviet era garages in Tallinn city at Maakri Street 30 will get a new lease of life. The joint “garage hack” of students of interior architecture, urbanism, architecture and product design will open a ball pit for kids, a Veg Machine food truck and a pop-up bar. One of the more peculiar actions of TMW will be the mystery garage concert, to be leaked only 24 hours before. Uber will help to find it.